(Reuters) - Boeing Co said on Sunday it was finalizing the development of a software upgrade and a revision of pilot training for its 737 MAX, the plane that has suffered two fatal crashes in the last five months. The updates are intended to address how the aircraft's flight control system - MCAS (Maneuvering Characteristics Augmentation System) - responds to erroneous sensor inputs, the planemaker said https://boeing.mediaroom.com/2019-03-17-Boeing-CEO-Muilenburg-Issues-Statement-on-Ethiopian-Airlines-Flight-302-Accident-Investigation in a statement. However, specific new pilot training is not expected to be defined until the software fix is in place, industry sources said. 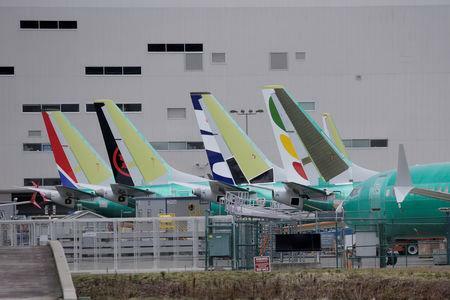 Boeing plans to release upgraded software for its 737 MAX in a week to 10 days, sources familiar with the matter said on Friday.